One treatment and your nightmare is over. When performed correctly, heat treatments are very effective at eliminating bed bugs and their eggs. A heat treatment is a process where we bring heaters into infested areas and raise the temperature to 135 degrees ferenheit and let that heat penetrate all the furniture and items in the area. 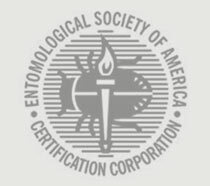 Bed bugs and their eggs die in under one minute at 121.7 degrees. Get rid of your bed bugs, fast. Thorn’s bed bug heat treatments come with a long warranty so you know the bed bug issue has been resolved. Single family homes receive a 1 year warranty. Hotels, Apartments, and other commercial properties receive a 6 month warranty. 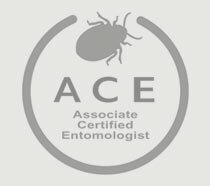 We are here to help you solve your bed bug problem. During a heat treatment it is critical to measure temperatures to make sure everything gets hot inside and out. If everything gets hot, all the bed bugs are dead. We use state of the art thermal imaging cameras that help us see exactly how hot things are and if we have cold spots. We also utilize wireless temperature probes throughout the space to give us real time temperature read outs. These wireless probes help us ensure a thorough heat. They also help us now exactly how the heat is going while we are outside the heated space. We utilize high powered fans to move the heated air around the space. We want the fans to push heat into the entire space and all the items which helps heat the penetrate thoroughly. During the heat treatment we enter the heated space and rotate and move items to ensure heat penetrates everything. The more we can rotate and move items the better the heat will soak into everything and ensure lethal temperatures are reached. Eradicate your bed bug problems.